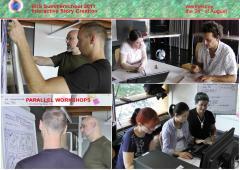 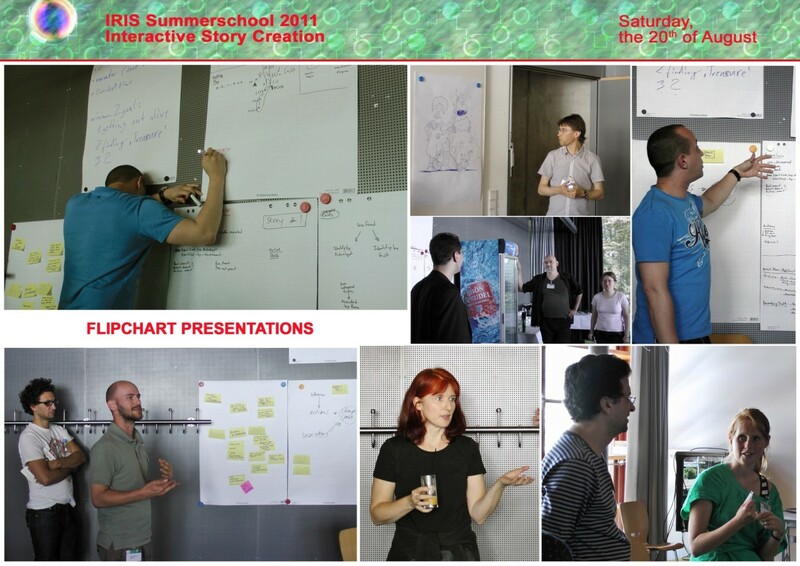 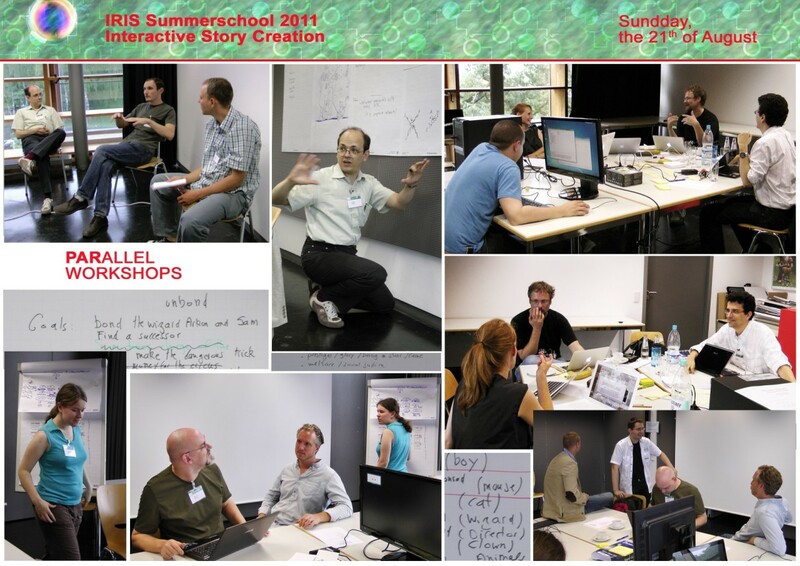 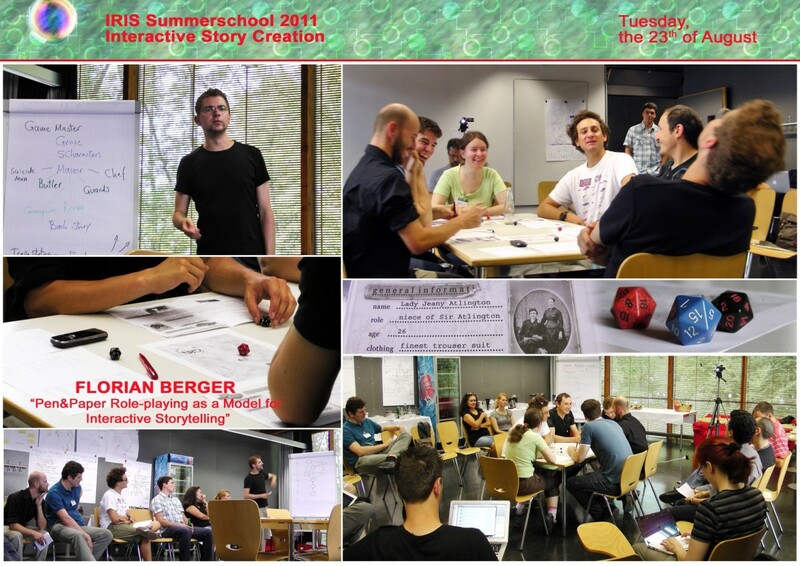 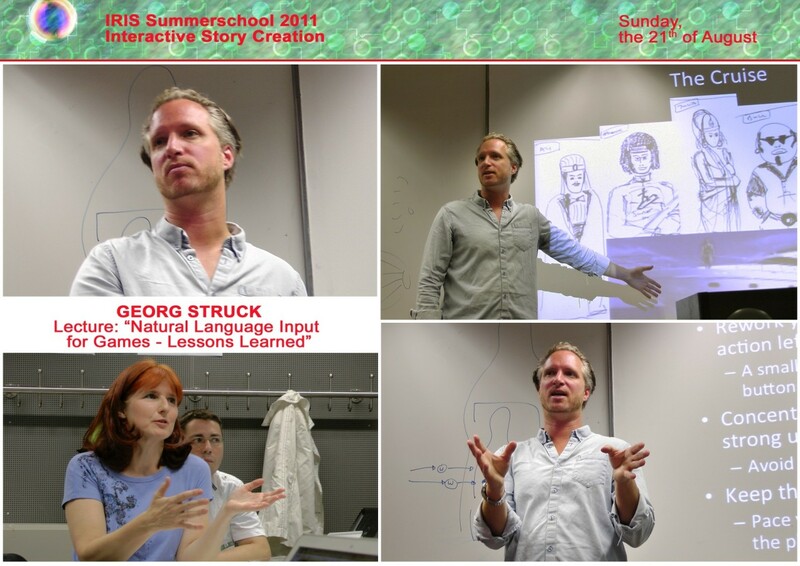 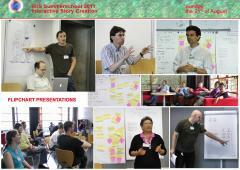 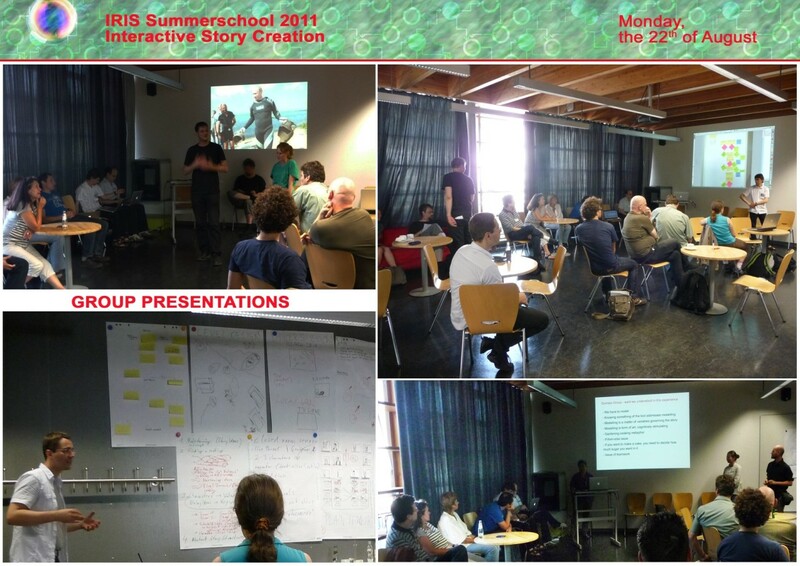 The “Summerschool 2011” event, that took place in Wiesbaden from August 19th to 24th 2011 focused on “Interactive Story Creation”. 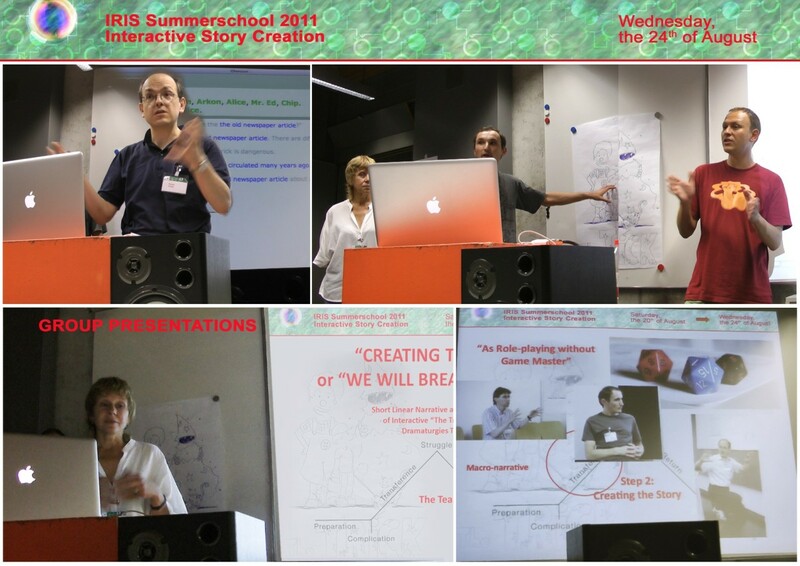 It was targeted at students, colleagues, professionals and researchers with an intermediate and advanced level of creative experience in any storytelling discipline (such as film, video games, RPG etc.) 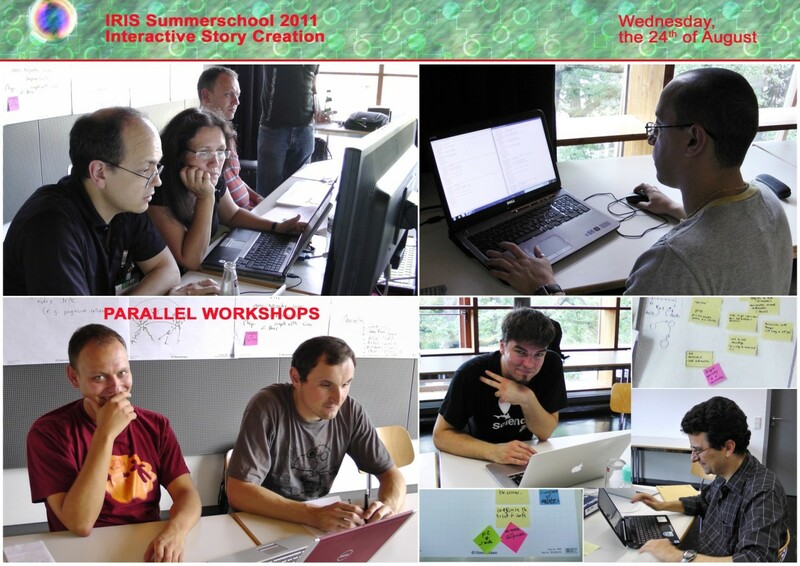 or in interactive story creation. 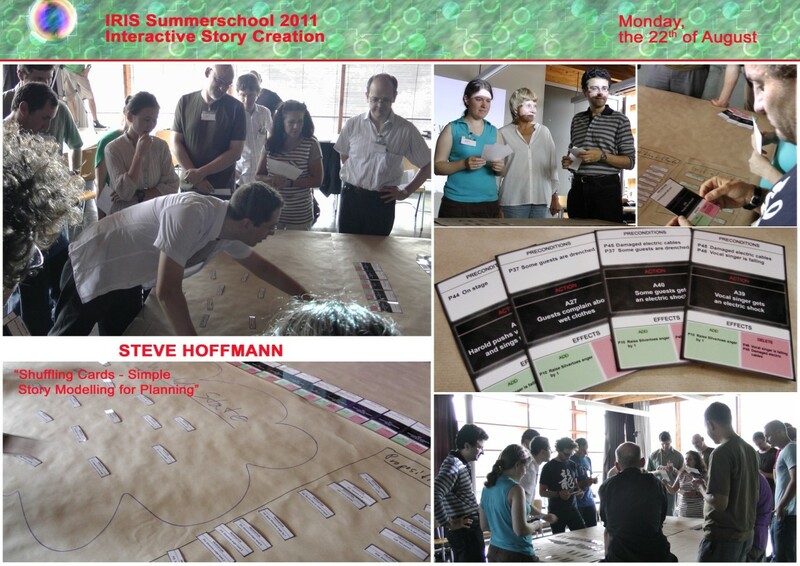 Participants were able to experience ways to structure story ideas so that interactions within the storyworld are enabled and lead to sensemaking responses. 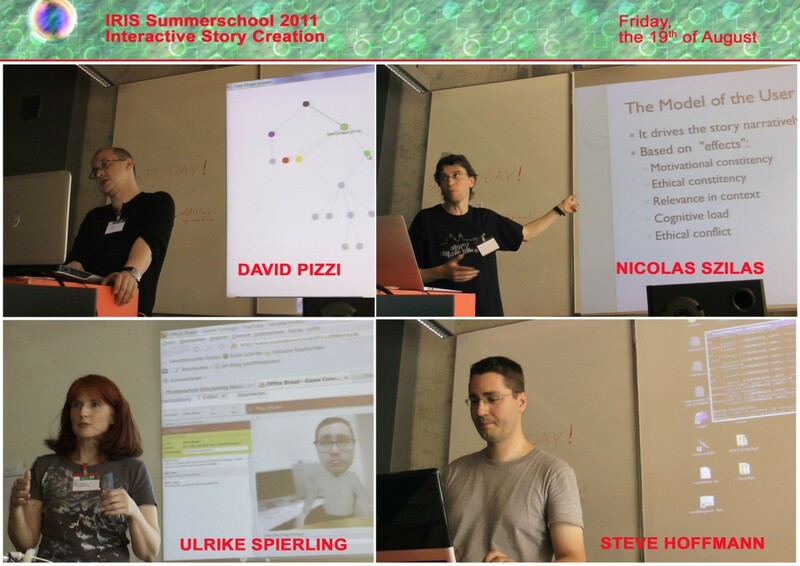 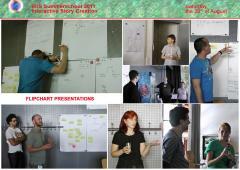 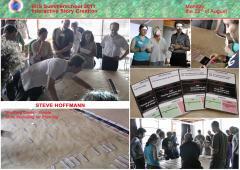 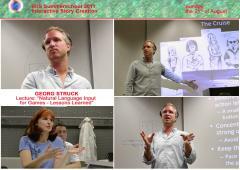 It also provided help to better analyse interactive story ideas. Below you find some impressions of the event.